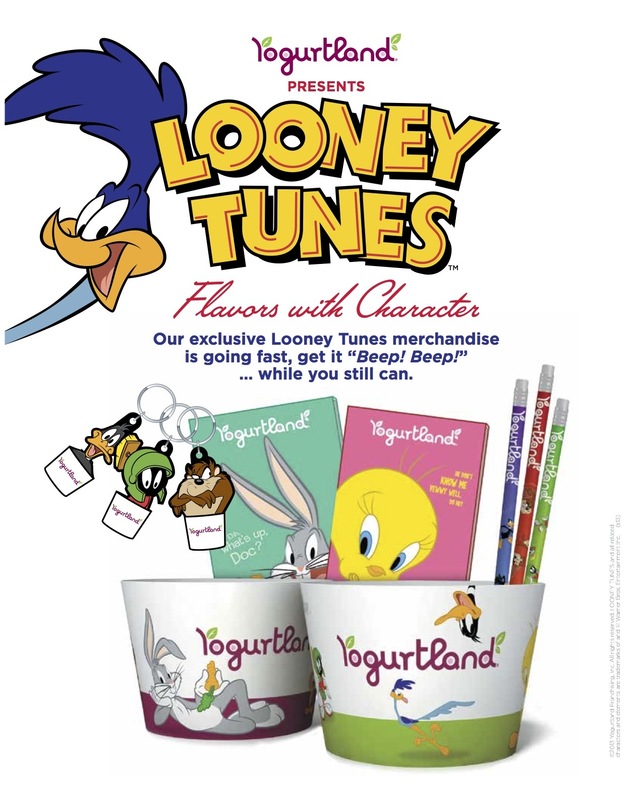 being MVP: Looney Toones Coming to Yogurtland & Giveaway! Looney Toones Coming to Yogurtland & Giveaway! 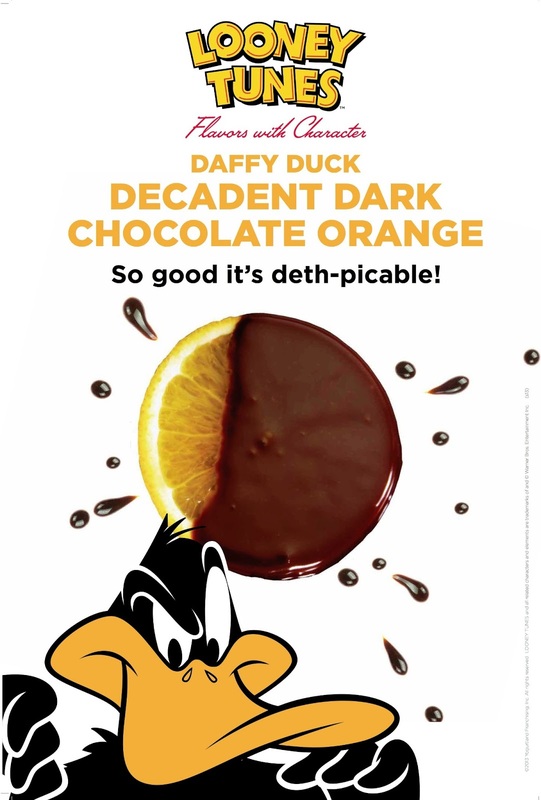 From July 8-September 15, 2013, Yogurtland will introduce six, delicious new frozen yogurt and sorbet flavors and toppings inspired by the zany Looney Tunes characters, their personalities and favorite snacks and treats. Each character will have their own collectible spoon and cup, and Yogurtland is offering a new line of co-branded merchandise including notepads, pencils, key chains and melamine bowls, while supplies last. 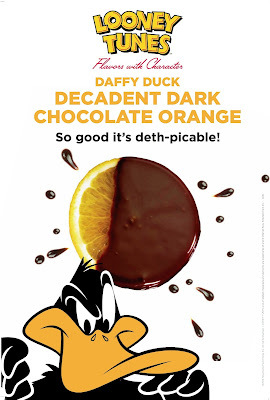 Enjoying the Looney Tunes inspired flavors can also earn fans free yogurt. Using Yogurtland’s mobile app, fans can scan QR codes on the in-store flavor cards and earn 4-ounces of free yogurt after collecting four character codes, and 6-ounces after collecting all six codes. Fans can use the Yogurtland app to find the nearest location and see the flavors that are being served at nearby locations. To find the app, search YOGURTLAND in your mobile app store. Yogurtland leads the industry with proprietary flavors and superior toppings where customers create and control their own flavor experience, all served in a clean, bright environment. Presently there are more than 225 locations across the U.S., Guam, Mexico, Venezuela and Australia with more than 50 additional locations scheduled to open over the next six months. For more information, visit www.yogurt-land.com or www.facebook.com/yogurtland. *Please visit ww.yogurt-land.com or your favorite Yogurtland’s location Facebook page for more details. One Winner will Receive a $10 Yogurtland Gift Card! Leave a comment below stating what flavor you want to try! This is a sponsored post. I will be provided with a $20 gift card to Yogurtland. Opinions are my own. I'd love to try the Lemon Cream Cookie! Oh I think Carrot Cake would be Devine! Devils food cake...all about the chocolate!! That carrot cake flavor sure sounds yummy!!! I want to try the Peanut Butter Cookie! Yum! They all sound delicious. I'd really like to try the carrot cake, as it sounds so unique. Kona Coffee blend sounds delicious! I've had the carrot cake. It's delicious! I'd like to try Toasted Coconut. Thanks! I want to try the Cactus Berry Tart flavor.